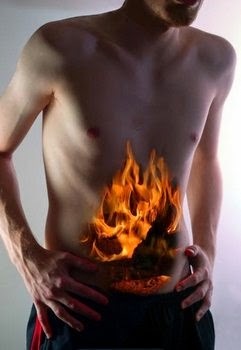 Vivekanantha Homeo Clinic & Psychological Counseling Centre, Chennai: Suffering with Gastritis Stomach Pain, is there is any best treatment in Homeopathy for Gastritis stomach pain in Chennai, Tamilnadu? Suffering with Gastritis Stomach Pain, is there is any best treatment in Homeopathy for Gastritis stomach pain in Chennai, Tamilnadu? Question: Respected doctor, am 45 years old women, am suffering with pain in stomach, bloating abdomen, constipation, acidity, heart burn, pain in abdomen, loss of appetite, its related with food like chicken, fish or other non veg spicy foods, when i eat these foods am suffer much bloating abdomen with pain in stomach, some time nausea and vomiting also. i underwent many Treatment but no effect, Doctors told its due to gastritis, how gastritis comes? Is there is any treatment in Homeopathy system of medicines for gastritis? Doctor Answer: Dear madam, No worries, Homeopathy treatment helps for you, please find the complete details about gastritis below. Proper treatment helps you, you need to consult the doctor in person to rule out your doubts. Symptomatic Homoeopathic medicines works well for Acute and Chronic Gastritis. Without any side effect.